How do you deal 7 Card Stud? - Casino Answers! 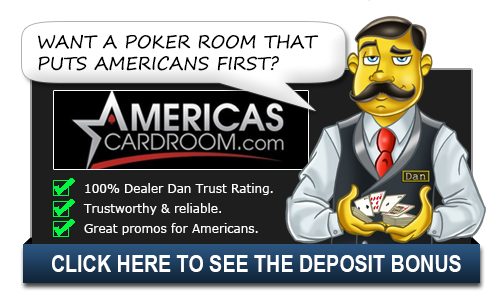 Casino Answers » Poker » 7 Card Stud » How do you deal 7 Card Stud? B.M. writes: Hello, I run a home poker game and we usually play Texas Hold’Em, however next week we are going to be playing some other games including Seven Card Stud. I understand the rules of Stud but I read online and have no idea how to actually deal. Could you give us a step by step guide so we can print it off? Thanks! No problem, BM. The rules of dealing seven card stud are rather simple and we can guide you right through that. DEAL: Before dealing make sure all players have ante’d up the designated amount. In seven card stud, everyone pays an ante as opposed to using a blind structure. Dealing to your left going clockwise deal everyone two cards face down and a third face up. This is referred to as the door card. The high or low card will now “open the betting” this means that the person holding that card is forced to bet. In a typical $1/$2 game the open may be $0.50 but the person may go as high as $1. FOURTH STREET: After the action goes around the dealer will burn a card then deal starting to their left again with the card being face up. During this round, or fourth street the opener may change if a better hand is shown. For instance if a person with a queen showing started in the last round, a person who now has an ace showing will start this round. Additionally if anyone is showing a pair they are allowed to bet the maximum (ie $2 in a $1/$2 game) instead of the lower early round bet. FIFTH STREET: Again the dealer burns a card and deals to the left face up. During this round (if no one made a pair in the earlier round) the minimum bet doubles. The best hand showing starts. SIXTH STREET: A card is burned and the final UP card is dealt. A round of betting starts, again with the high hand leading things off. THE RIVER: The river or seventh street is dealt face down. After a round of betting it is time for the showdown. The bettor normally shows first. If you’re still not sure, an excellent resource is the Full Tilt Poker School which can teach you more about the great game of seven card stud. They also offer options for playing online which can be a great way to play with friends when you are all at your own homes. This is a really fun game that can have some really exciting hands, but is not the kind of game you just want to jump into. There is a wide range of hands that your opponents can have when they have seven cards in their hand. Learning that and understanding it is the key to successful seven card stud play. How to deal Seven Card Stud, how many burn cards in stud? When do you burn in Stud?